Over the years — from high school on, really — I’ve always tried to keep myself organized. The key word there is tried. 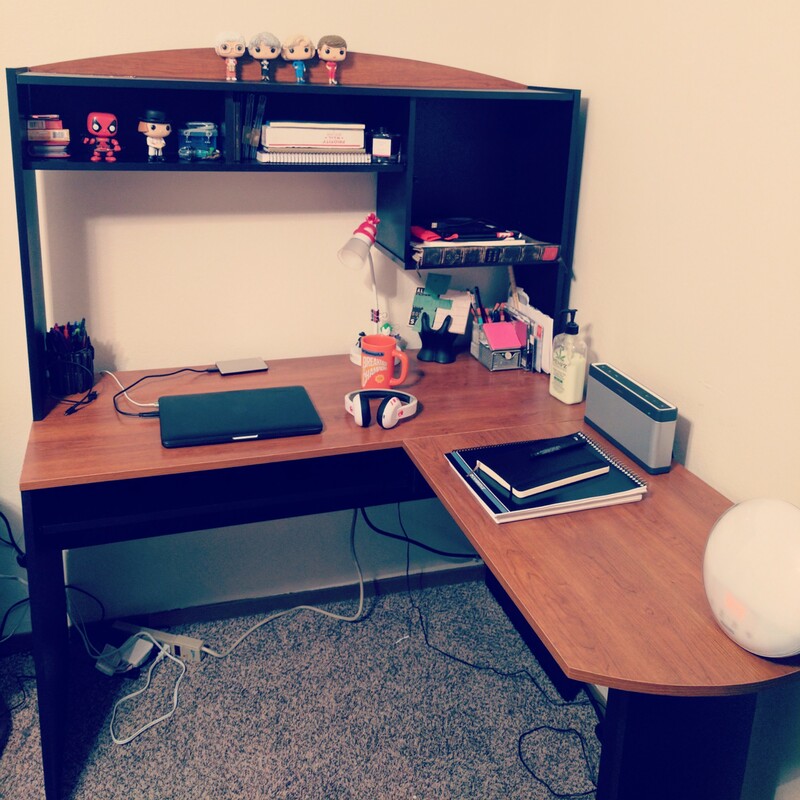 Whether the need for organization sprouted from the fact that I had a million things going or because of my slight OCD, I’m not sure, but inevitably, my attempts at keeping myself organized would fail. I bought calendars and planners and even just used lists in various forms, and I did things this way for years. Some of these methods would stick for a month or two at best, while others were basically DOA. I’d waffle between lists and planners and — once smartphones arrived — trying keep everything crammed into the woefully inadequate calendar on whatever phone I was using at the time. Nothing worked like I imagined it would. I wrote day or times down incorrectly or would forget to write anything down at all. Each time I’d try a method for the second, third or fifth time, I’d always end up right back at square one. 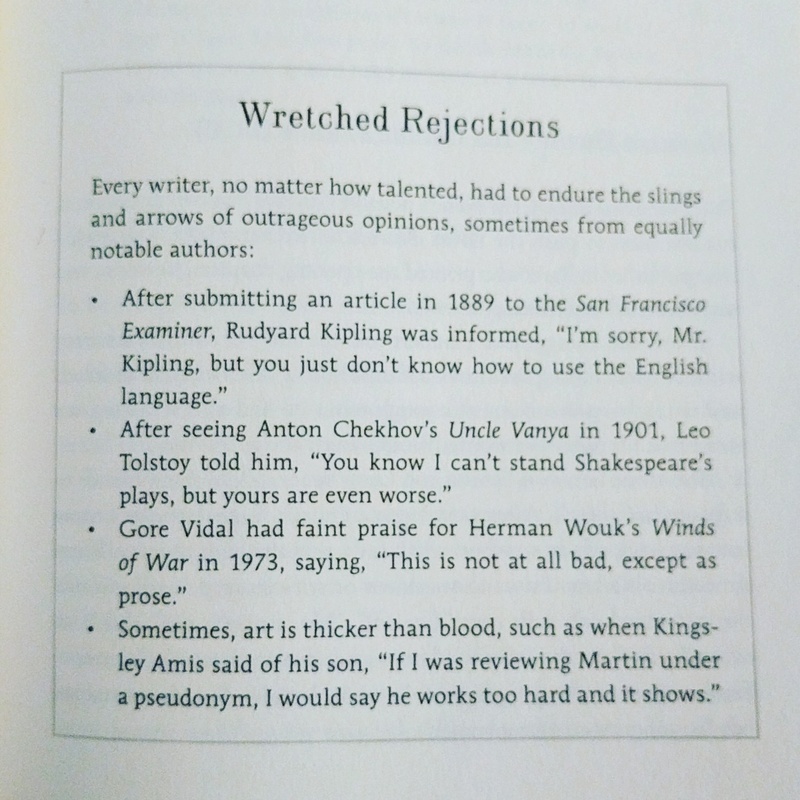 I used to be a proponent of the “write every day no matter what” ideology. I’ve discussed it more than a few times in other posts here. The gist? Writing is an individual pursuit much of the time. Nearly all the time, in fact. As such, you need to be able to tailor your routine to, well, you. 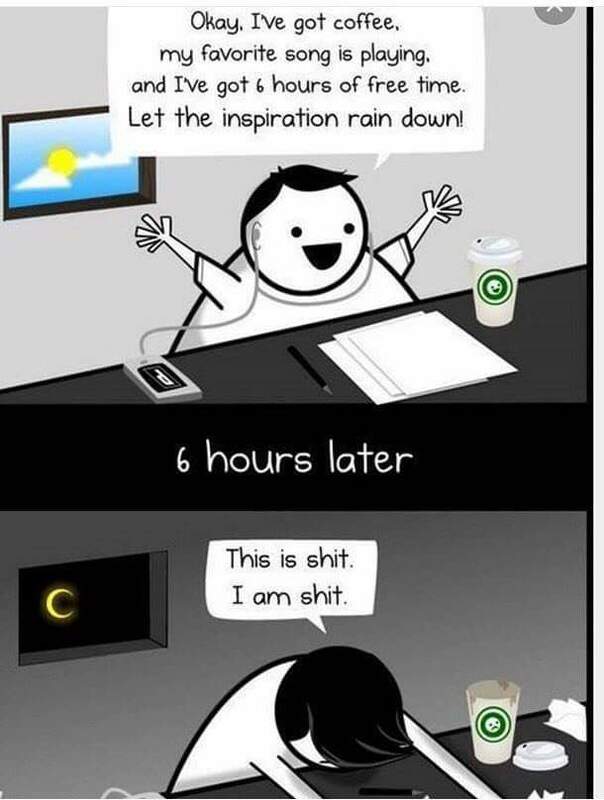 Life does and will get in the way of writing. Day jobs, family obligations, social activities and any number of other things demand attention, and it’s impossible to ignore all of those things to write. Here’s the thing about that: It’s okay. Friedrich Nietzsche once said that “without music, life would be a mistake.” I believe there’s a lot of truth in that. Music has done its part in getting me through plenty in life so far. But as important as music may be to my life, it’s just as important to my writing. Every character I’ve ever written (every main character, I should say) has had his or her own playlist. These playlists go through changes and are always evolving as I write through a story and develop the character. I’ve found, over the years, that it’s difficult to develop a character without taking his or her favorite music into account, and I attribute this to my own borderline obsession with music. 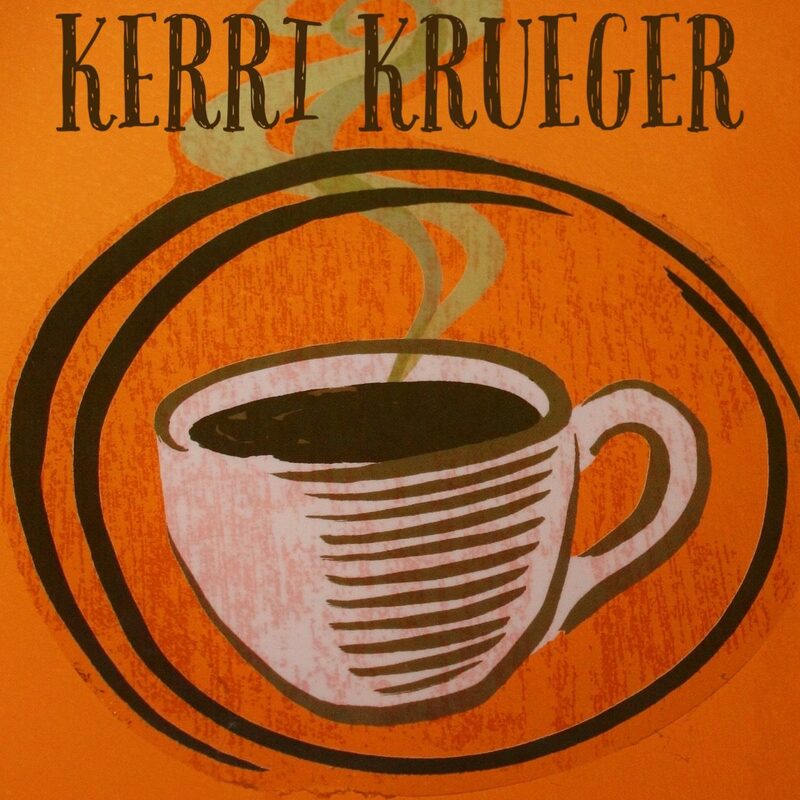 It’s truly a lifesaver, and while that’s another story for a different day, that same life-saving music obsession is found in every one of my main characters. The process of developing characters and their playlists is one I very much enjoy, even when the process is at its most meticulous stage. Depending on your own process and such, the process I’m about to lay out may seem convoluted or complex, but I assure you that it really isn’t as bad as it may look. I’m a bit of a perfectionist, so I tend to devote a lot of time to early details to ensure the later steps go as planned. While this is technically a character development step, it’s an important part of character playlist creation, too. Conducting this interview allows me to learn every little thing about my character, and those little details are what influences the character’s musical tastes. Details like ancestry, background, where he or she grew up and what he or she is interested in — all of these things are incredibly important. If you’re curious about the questions I use for character interviews, look here. This step is pretty self-explanatory. I take the answers I get from the interview and create a basic character profile. I try to find a photo that embodies what my character looks like (sometimes i’ll sketch one myself). It’s important for me to really dig in and understand who my character is. 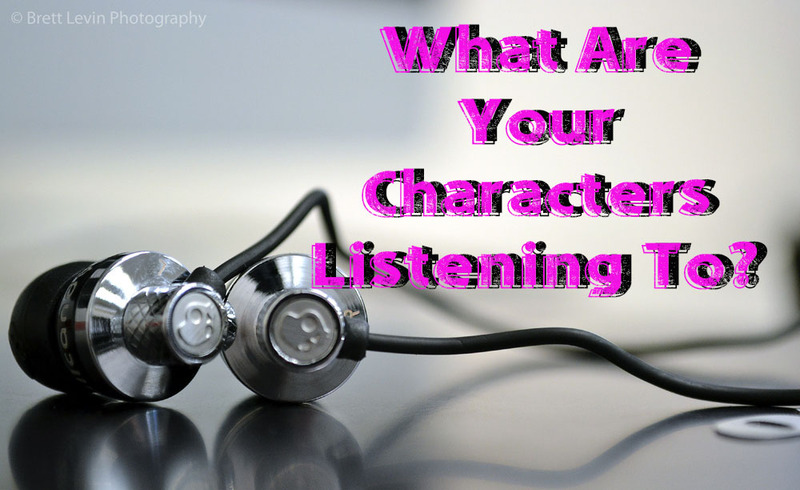 When I’m able to understand a character’s psyche, it’s pretty easy to establish musical tastes and a playlist. This is always the fun part for me. I love searching through the music I own and the music I’ve saved and liked on platforms like Pandora and Spotify to nail down the artists I think my character would listen to. If I can pinpoint a favorite artists for my character, that’s great. I love adding little details like that wherever I can. There’s no limit to this list, either. Some character only like a handful of artists, whereas others claim a whole genre. This is the step that typically takes the longest for me, and that’s because it never really ends. I’ll listen to songs and if they fit into the life of my character and/or his or her story, it gets put in the playlist. Because music and musical tastes evolve, just like the story typically does, my playlists tend to change as I write further into the story. Below is part of the playlist I created for the main character in the novel I’m currently working on. 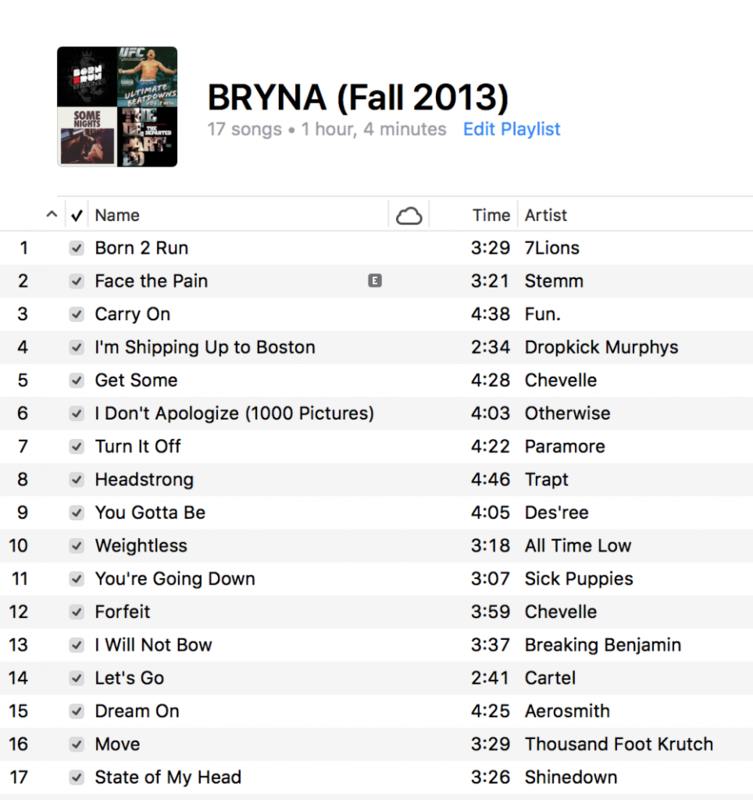 This one is mostly rock, but it’s also the playlist that the character (Bryna) listens to before she fights. I thought I’d share it, just so you get a general idea. And that’s really it as far as process goes. I love doing it this way, and I don’t think my characters would be as detailed or as well-rounded if I didn’t do it. Featured Image Credit: Brett Levin Photography via Flickr.com. Late last spring, I decided to start keeping a physical journal again. I’ve always been big on writing my feelings down and keeping track of daily life in this way, but over the past few years, it happened less and less. When I did remember to write things down, I wasn’t really writing them down, per se. I was using an app on my phone (called Day One, which, in itself, is quite outstanding). It was definitely convenient in numerous ways, but after a few years of doing things this way, it just didn’t feel right. As I’ve stated many times before, I’ve always been someone who thinks better on paper. Not just when writing creatively, but when keeping a journal, too. Because of that little fact, it didn’t take much to get back to a physical journal.